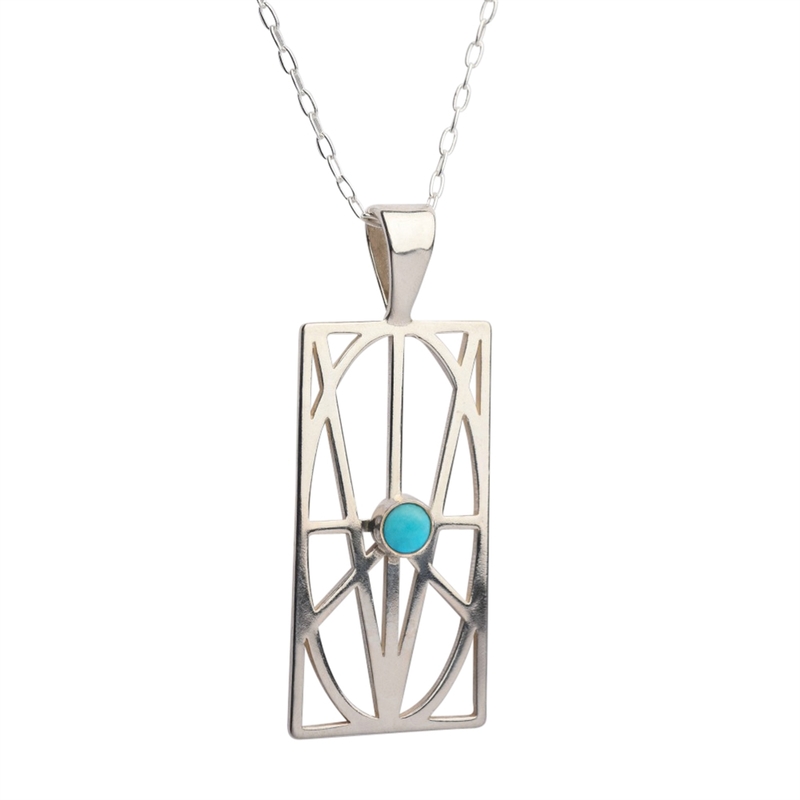 This sterling silver pendant is set with a smooth 6mm Turquoise cabochon. Natural Turquoise may vary in color so some pendants will have striations of chocolate brown hues. Turquoise is a staple in the American Southwest and is believed to bring good health, happiness and fortune to those who wear it. Turquoise is also a December birthstone. This pendant can be worn on its own or layered to match your unique style. Available with an 18" or 24" sterling silver chain.